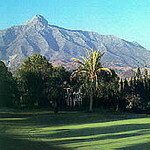 A suburb of Marbella, 5 minutes from Puerto Banus and close to the "Golf Valley" and San Pedro. Wonderful views of the surrounding mountains, including the famous La Concha (see photo on left). Browse featured accommodation or try our search option above.